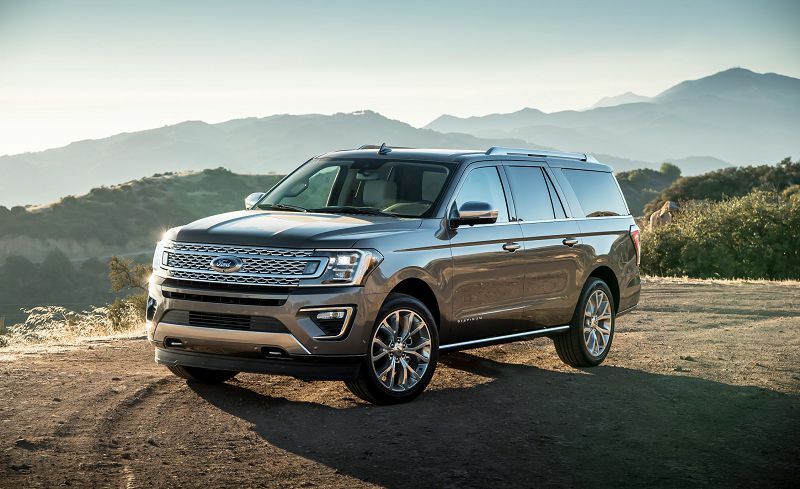 Ford has brought us another round of the Expedition, back by popular demand, this huge machine will be able to carry 8 passengers. The Expedition isn't just your run of the mill family SUV, this beast has a 375 horsepower, 3.5 liter V6 engine, that really displays its power! This vehicle can tow from 5,900 to 9,300 lbs while still maintaining an amazing 17 miles per gallon in the city and 24 miles per gallon on the highway, never sacrificing its fuel efficiency for its great power with its 23.3 gallon tank, you'll find that you'll be visiting the fuel pumps all the less! So what's your delay, get your Ford Expedition seat covers before your seats get ruined by what the adventure on the road throws your way, whether you're on the job or heading out into nature itself! The Ford Expedition is a vehicle that's not only perfect for a family of almost any size, but its also the kind of vehicle that can easily be used for work. With all of its power, comfort and fuel efficiency you'll find very few issues on the road that you cannot solve! Keep the inside as fresh as the great outdoors that you'll be passing on your adventure on the road by getting a set of Saddleman's custom truck seat covers? Saddleman's seat covers come in all of the different seat styles the Expedition's have to offer and each seat style is available in all of Saddleman's fabric choices. Be sure to check each fabric out and choose the one you like most! Each fabric has it's own set of color choices, so be sure to check them all out! Your Ford Expedition is with you through all of life's little adventures, so keep your seats like new, while adding some comfort and style by getting your own set of custom truck seat covers today!